Spain has variety of supermarkets to choose from for your daily, weekly or even monthly grocery shopping. The same as in the other countries Supermarkets in Spain are the main places of Grocery Shopping. Some of them are international such as Aldi, Lidl, Carrefour, some, El Corte Ingles, Mercadona, are top favourites in Spain and some are found extensively even in the city centres like Dia and Super Sol. El Corte Ingles is the Spanish department store group which is known as the biggest in Europe and ranks in a top five biggest worldwide. It has almost everything that you can think off. 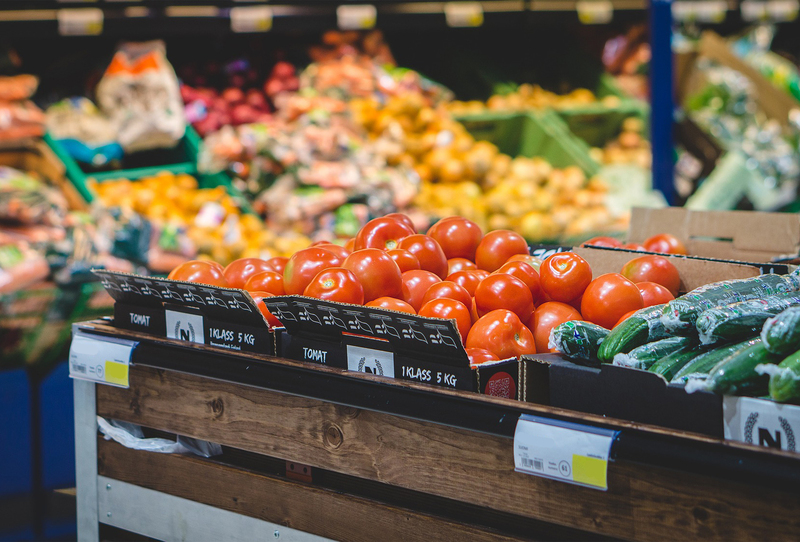 When it comes to the grocery, one can easily find not only typical fast consumable goods but also some very specific products which you may not be able to find in any other store. From black pasta or rice to coconut sugar. However, the supermarket of El Corte Ingles has the downside. It is normally more expensive than any other Supermarkets in Spain. Another very popular supermarket of Spain. The chain already has close to 1600 stores. The stores normally are big and offer big variety of products with very good prices. Carrefour is French multinational retail brand which operates in more than 30 countries worldwide. This supermarket is very liked by Spanish market. Actually, after France, Spain appears to be the most important market of Carrefour. It heads towards the mark of 200 supermarkets around Spain. Eroski – is Spanish supermarket chain which has over 1000 stores opened all over Spain. You can find stores from very big ones called hypermarkets to the small stores. Dia – is Spanish supermarket chain which also operates in France, Portugal, Turkey, Argentina, Brazil and China. Stores offer from small so-called minimal discount to the big or in other words hard discounts. However, such policy has a downside. Normally Dia stores are small, with minimal decorations and almost none existing variety of goods. SuperSol is a chain of hyper and supermarkets operated by DinoSol supermarkets group. Somehow the stores seem similar to the Dia ones, however, the prices are higher and not so many discounts are offered. Another supermarket chain focused on discount strategy. The chain with an origin of Germany came to Spain in 2002 and since then opened over 250 stores. Offers a variety of products with the different discounts. Some discounts are based on the days of the week. Whether it is Wednesday, Thursday or Saturday you can find different offers for different products available. Lidl is another multinational German supermarket which took over the hearts or better to say stomachs of the Spanish population. It has over half of the thousand stores across Spain. Same as Dia and Aldi, it is based on discount policy meaning that it saves money on decorations of the stores and on maintenance. Normally you would not find a fresh section of meat or fish as in the other supermarkets such as Mercadona, Eroski or El Corte Ingles. Since Lidl opened its stores in Spain it seeks to ensure the low price for high-quality products. This is the list of the main supermarket chains in Spain. Let us know in the comments below which supermarket you normally choose for your grocery shopping and why.